The world's top riders take part in the London round of the international Global Champions Tour Show Jumping event this summer, one of 15 events held worldwide. Competing for a slice of the £360,000 prize fund, the biggest prize of the year in British showjumping, the London competition takes place just five events before the 2015 season thunders towards a climactic close. It will be hard to beat the drama of last year - the London event proved a turning point for eventual winner, Team GB gold medallist and world number one, Scott Brash who's a hot favourite going into this year's Grand Prix. NOTE: Horse Guards Parade was the venue for 2014 but the exact London location in 2015 has yet to be confirmed. 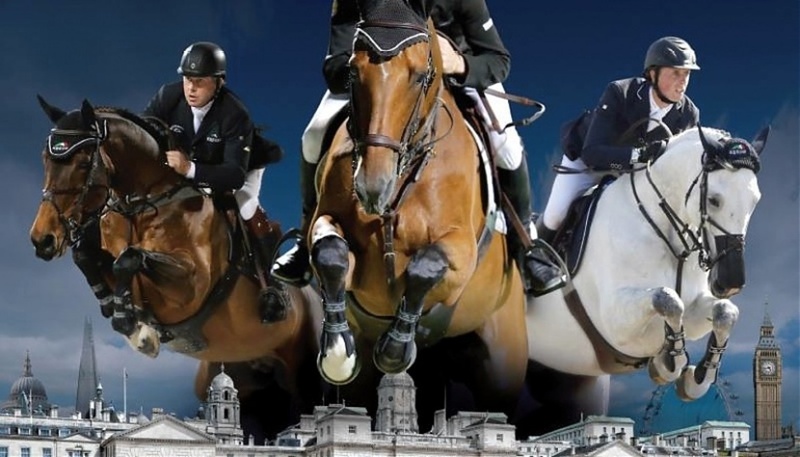 What are the best dining options near Global Champions Tour Show Jumping London? Global Champions Tour Show Jumping gyms, sporting activities, health & beauty and fitness. The best pubs near London Global Champions Tour Show Jumping. Global Champions Tour Show Jumping clubs, bars, cabaret nights, casinos and interesting nightlife. Where to have your meeting, conference, exhibition, private dining or training course near Global Champions Tour Show Jumping. From cheap budget accommodation to luxury 5 star hotels see our deals for Horse Guards Parade hotels, including The Royal Horseguards - A Guoman Hotel from 81% off.